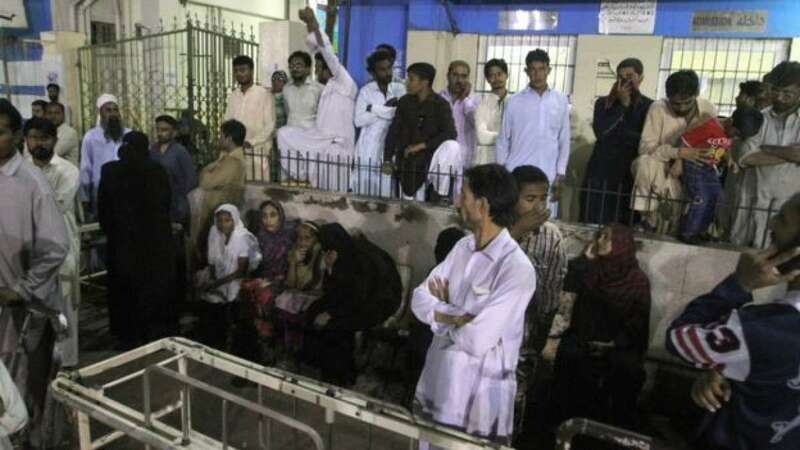 Los angeles : In a tragic incident, at least 52 people, including women and children, were killed and more than 100 others injured after a suicide bomber targeted a popular sufi shrine in Pakistan's restive Balochistan province. Later, the Islamic State terror group claimed responsibility for the attack. According to witnesses, the blast occurred in the remote Hub region in Khuzdar district of the province while devotees were participating in a Sufi dance called "dhamaal" at Dargah Shah Noorani. Immediately after the incident was reported ambulances and rescue teams were rushed to site. Balochistan Home Minister Sarfaraz Bugti told media, "The rescue operations are going on and the casualties could rise as some people are still trapped at the place where the blast took place," Bugti said. More than 500 devotees were present at the tragic site when the blast occurred. Some agencies put the death toll as high as 62. According to Colonel Junaid Kakar of the Frontier Corps, "All evidences point to a suicide bombing." The attack was strongly condemned by President Mamnoon Hussain and Prime Minister Nawaz Sharif, who directed authorities to speed up the rescue activities. Pakistan has been recently reeling from terror attacks. This was the third one since August when 70 people were killed in a suicide bomb attack outside the civil hospital in Quetta. In October, 64 police cadets and two army men were killed when three terrorists raided a police training centre in Quetta.